Saffishie wrote: I can't quite figure out what I'm doing wrong... I'm following the steps in OP instructions to replace in-game portrait for the female LC with the one Aramintai posted by replacing the Portrait-LCO_Female textures in the resources.assets file. Everything goes well, I can confirm by examination that the file textures were replaced. I save the .assets file and use it to replace the original one. But when I start a new game, the in-game portrait is still the old one :c Any ideas why this is happening? Thank you in advance for any assistance! Are you uploading pics with .tga format? Also, are you uploading pic to both Portrait-LCO_Female lines? There are two of them. Agiel wrote: I can confirm that while I'm able to change other portraits with the above procedure, for some reason it's not happening with Matkina's. A shame, since I hate that new portrait so much considering all the other official artwork for her looked fantastic. Yea, that's a real bummer. New portrait shows up in some cases, but not in the main characters bar. Perhaps, somebody who's familiar with Unity can figure out where else it's hidden. Well if you can figure out a way to change it make sure I'm one of the first to know God knows I was trying to change it for nearly an hour. Similarly it changes in some cases (like when in the load game screen) but remains the same in the actual game. Last edited by Doxy on March 1st, 2017, 11:14 am, edited 1 time in total. Aramintai wrote: Are you uploading pics with .tga format? Also, are you uploading pic to both Portrait-LCO_Female lines? There are two of them. Using UABE, open globalgamemanagers and you should find the missing portraits like Matkina's and the other companions. The process to modify and save them is the same one as mentioned in the OP. Look, how dashing my replecement portrait for Tybir is! Well, when I'm getting my Steam-to-GOG conversion, that is. Weiss wrote: Using UABE, open globalgamemanagers and you should find the missing portraits like Matkina's and the other companions. The process to modify and save them is the same one as mentioned in the OP. Thanks, Weiss! Worked like a charm! Can you share file names? Right now I am working on amazing portrait pack and i have same problem. Portrait for castoff and Aligern is easy, because both Texture2D files have the same name and are right next to each other. But I was able to find only one Texture2D file for Matkina (Portrait_Matkina), Callistege (Portrait-Callistege) and Tybir (Portrait_Tybir). Moreover, I did not find any files for Rhin and Erritis. 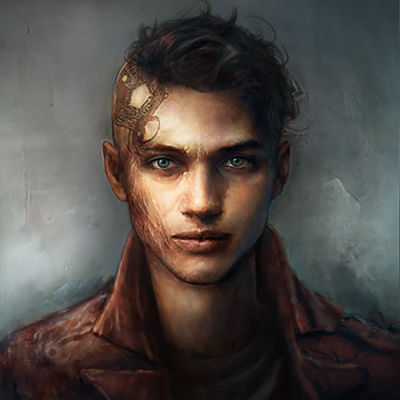 The only potential problem I have is that portrait maybe screwed up about every time or so, inXile will patch the game, replacing files and we'll have to do it every time. Edvin696 wrote: But I was able to find only one Texture2D file for Matkina (Portrait_Matkina), Callistege (Portrait-Callistege) and Tybir (Portrait_Tybir). SkyCid wrote: No, this was just a test to see how quick I could make the portrait look slightly better. It only took me an hour or so. 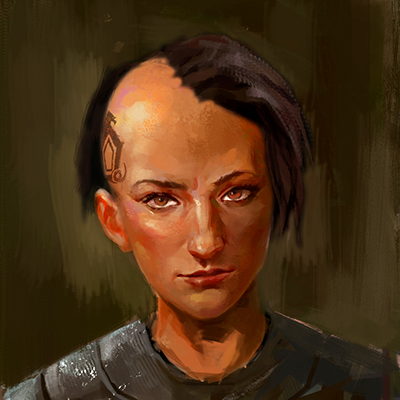 I'm not planning on doing the other companions sadly (Unless someone pays me for it.... Inxile, hire me rajt nou). But maybe i'll change my mind at some point in the very distant future and if so i'll just post the portraits here. Sadly, it doesn't look like your castoff model, but if you want to sett your female glaive castoff's individuality ON FIRE anyway (like, say, though the usage of new and untested Numenera and other techniques) , here's this picture. It's your face and you can do with it all you want! Just cut a square around her face and ignore the rest. I made two more alternative portraits. Last edited by Edvin696 on March 4th, 2017, 7:04 pm, edited 1 time in total. This is what I'm using for my last castoff, since I think the current PC portraits just look so dead. It looks just fine in the dialogue window, but unfortunately the eyes are just slightly off on the bottom of the screen when walking around. Last edited by DJ_Kovrik on March 6th, 2017, 9:09 pm, edited 1 time in total. These should be the official portraits! Hell, they should release a patch to change the original ones into these. Last edited by Edvin696 on March 10th, 2017, 4:13 am, edited 1 time in total. Even after the change (in the OP) I can't tell if the person in the picture is male or female. I suppose that's what is actually going on with that portrait. It's some androgyny character. I know transgender politics are all the rage nowadays. I just wished people would stop forcing their agendas on me in games I'm trying to enjoy as a straight male that wants nothing to do with that culture. Its not as if the game was built around that premise or something. I suppose since this game purports itself as "artsy" it had to incorporate this or they wanted to save money by having a one style fits all picture. On the other hand the voiceover is such a break with the style of the original portrait it almost feels like a caricature. 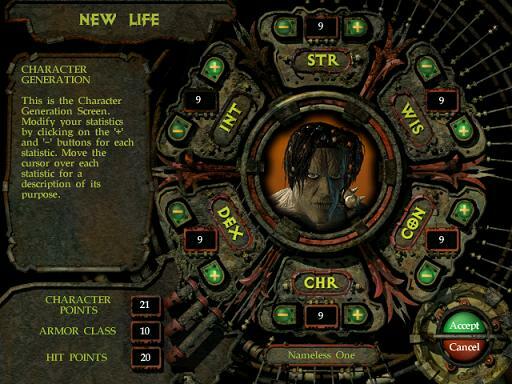 I also got very angry when the original Planescape: Torment forced me to play as a green mummy with rasta beads in his hair. How dare they force their sinister political agenda on me! Sass is strong with this one.